A week of electric vehicle celebration is upon us, and we want to get you charged up about it! 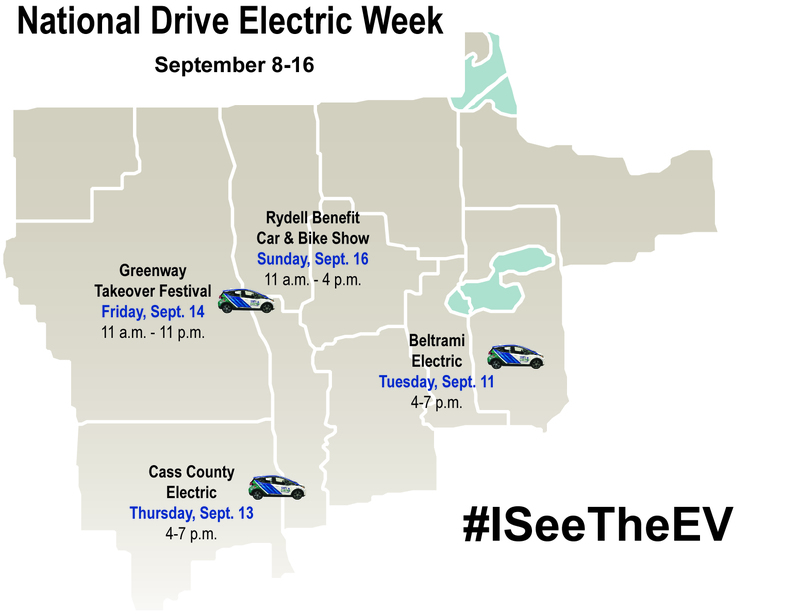 September 8-16 is National Drive Electric Week, and Minnkota is marking the occasion by crossing the region to several special gatherings in its own 100% electric vehicle (EV). 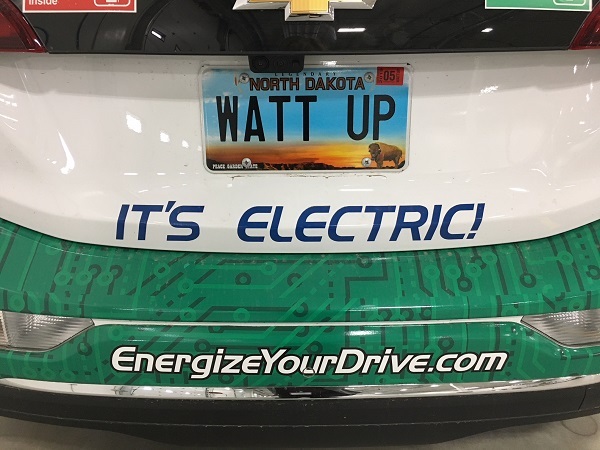 If you see the Minnkota Chevy Bolt on the road or at an event, snap a photo – safely – and post it on Facebook, Twitter or Instagram with the hashtag #ISeeTheEV for a chance to win $100 for the charitable cause of your choice! Plus, we’ll be out and about in communities in between, so keep an eye out for our blue and green machine wherever you are. We’ll choose our winning #ISeeTheEV submission on creativity – have fun with it! Photos will be judged Monday, Sept. 17. Submissions can be a standard photo or a selfie – do what works for you! The winner will be contacted through the social media platform’s direct messaging (Facebook, Twitter or Instagram). If there is no response within 24 hours, the next runner up will be informed, continuing until a connection is made. Minnkota Power Cooperative will coordinate the charitable donation to be given in the winner’s name or a name of their choice (Minnkota will use its discretion when approving donation recipients). Please photograph safely and obey all traffic laws. That’s it! We can’t wait to see you during National Drive Electric Week!